A bipartisan, bicameral committee that spent the past 10 months drafting reforms to the federal budgeting process abandoned its efforts Thursday, failing to advance a slate of changes that included requiring Congress to pass top-line spending levels for federal agencies every two years instead of annually. The group of Senate and House lawmakers, created as part of the two-year budget deal President Trump signed earlier this year, unveiled its bipartisan proposal earlier this month. The move to biennial budgeting would have allowed more time for lawmakers to craft their proposals and for agencies to adapt to their funding levels, lawmakers said when announcing their suggested reforms. 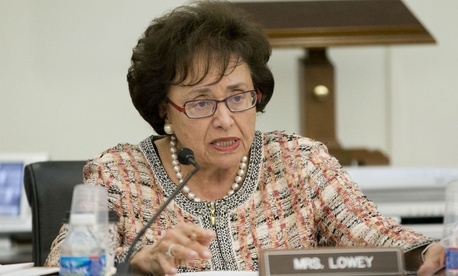 Appropriators would have received the top lines for each of the 12 annual appropriations bills for two years rather than one, which the committee members said would give agencies more time to respond to their forthcoming allocations. The panel held three hearings and two markups on the proposals, twice delaying a vote to move the bill forward in order to give Senate leadership more time to lay out a path for final consideration. Most of the Democrats on the committee said they did not want to vote "no" after working so long on an agreement and instead voted "present." Some lawmakers expressed optimism that the changes would be brought up in a bipartisan fashion in the next Congress when they would not face such a tight timeframe for passage. Others, while praising the committee for the progress it made, called the reforms insufficient for what the current state of affairs actually requires. Passing the bill, they said, would be a missed opportunity for taking more aggressive action. The measure would have pushed back the deadline for Congress to reach a budget resolution to May 1. Lawmakers rarely meet the current target date of April 15 and called the new timeframe more realistic. The White House would have been required to send a supplemental budget to Congress each December that includes updates on prior and current year funding data to give appropriators more time to plan their spending bills. Maya MacGuineas, president of the Committee for a Responsible Federal Budget, agreed the proposals were not as bold as she would have liked but still expressed regret that lawmakers could not pass them as a first step.